1. The father of Zuriel, a Levite of the family of Merari (Num. iii. 35). 2. Wife of Abishur (I Chron. ii. 29). 3. Son of Huri, a Gadite resident in Gilead (I Chron. v. 14). 4. Wife of Rehoboam and daughter of Eliab, the brother of David (II Chron. xi. 18). 5. The father of Esther (Esth. ii. 15, ix. 29). 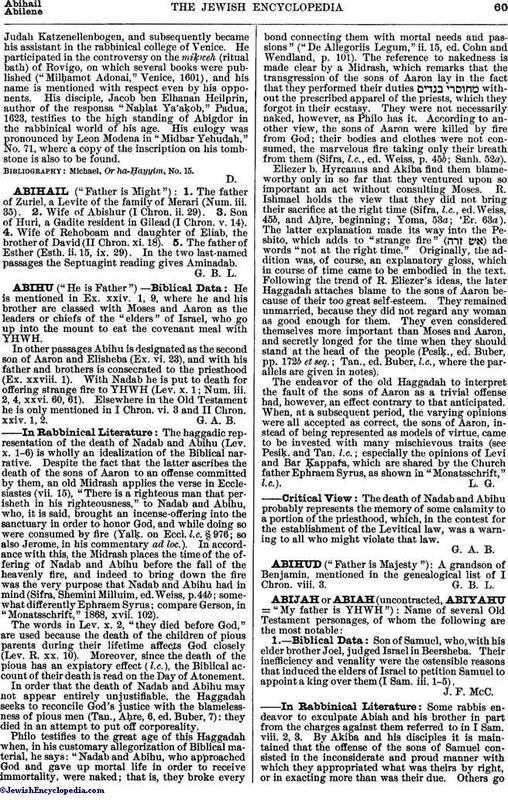 In the two last-named passages the Septuagint reading gives Aminadab.